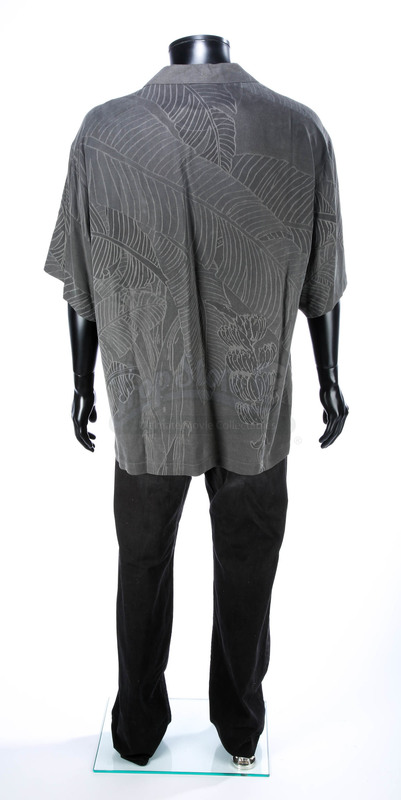 A costume worn by Neville Flynn (Samuel L. Jackson) in David R. Ellis’ 2006 action horror film Snakes on a Plane. 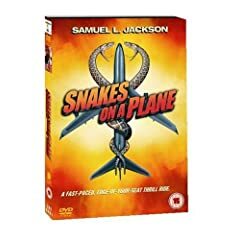 When hundreds of deadly snakes are released on a plane to try and kill the witness of a brutal murder, it is up to F.B.I. 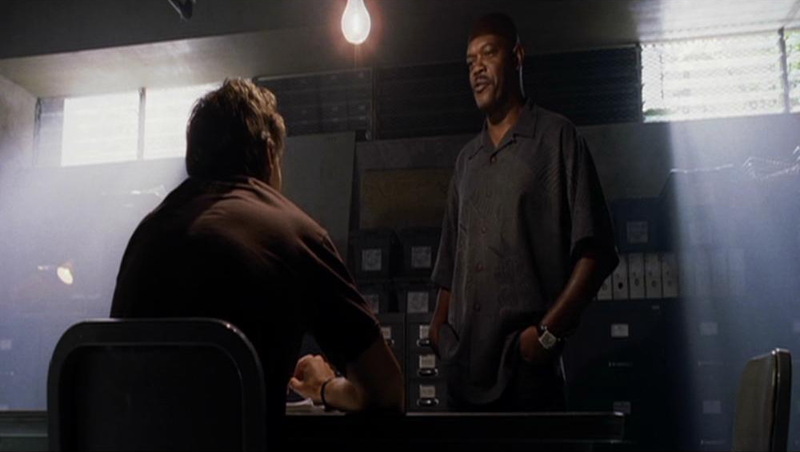 Agent Neville Flynn (Samuel L. Jackson) to save the plane, and all the passengers on board. 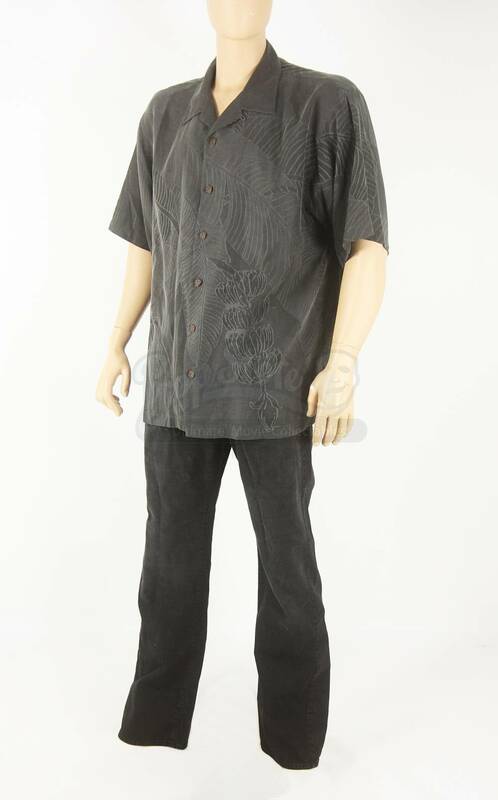 Agent Flynn (Jackson) wears this costume at the very start of the film, when rescuing the murder witness Sean Jones (Nathan Phillips) and transporting him to a safe house. 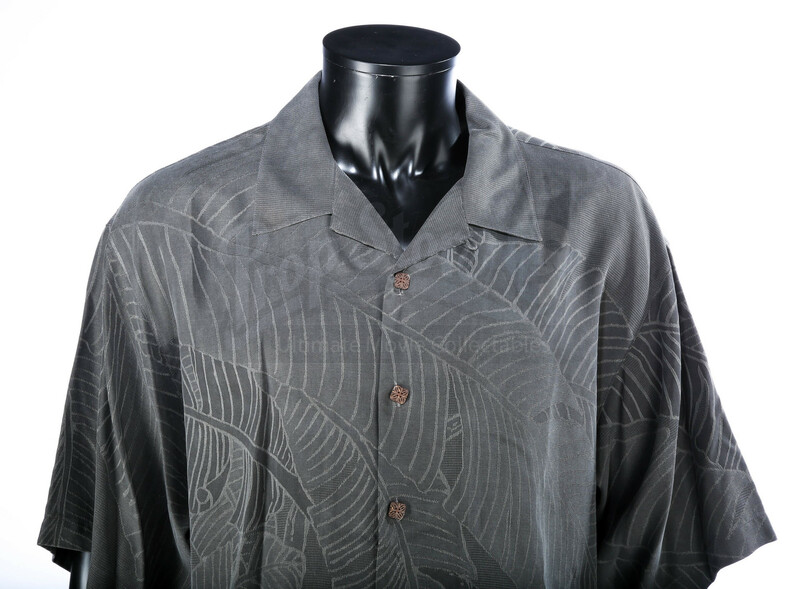 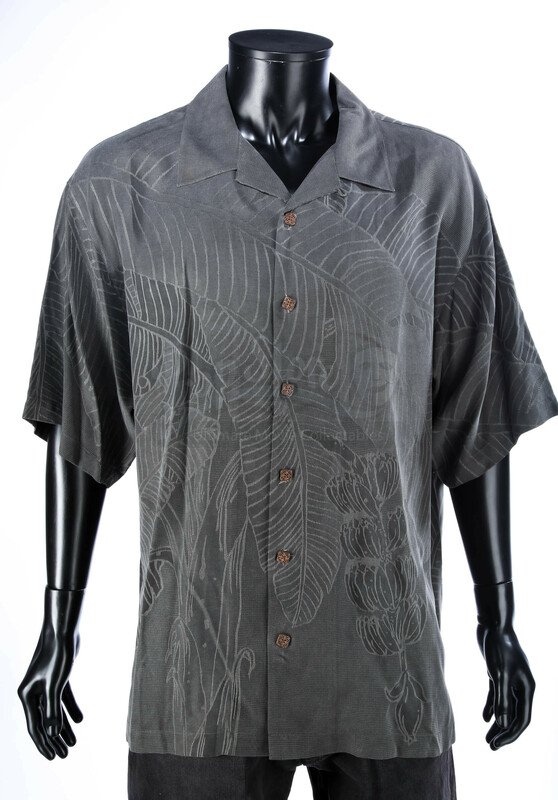 It consists of a grey Tommy Bahama shirt in size XL with small square wooden buttons and embossed palm leaves in different shades printed all over. The costume also features a pair of Hugo Boss black jeans in size 36 x 34, and includes a costumers tag detailing this as "SLJ Safehouse Outfit". 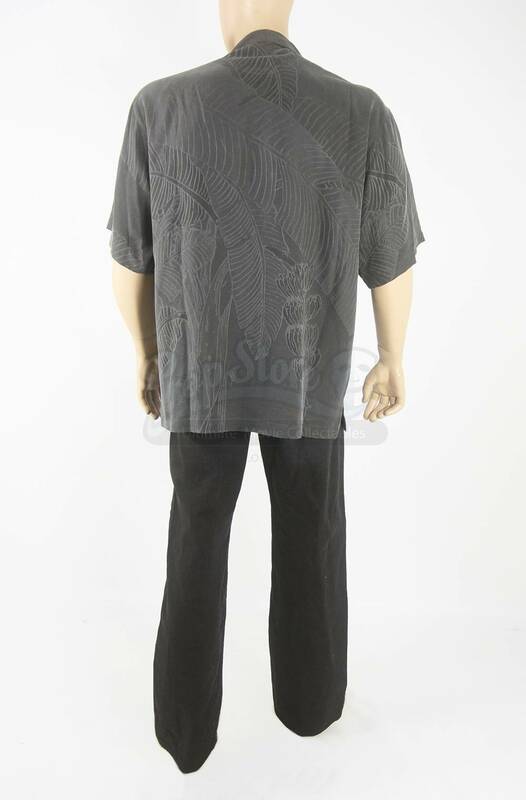 The costume remains in good production-used condition.